I liked the size of the apartment especially the balcony. 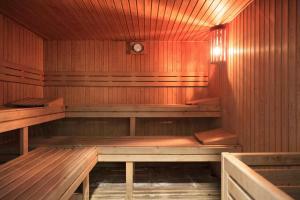 Great location, Very comfortable and clean. Very well equipped with a Large balcony. Staff at Universal Holidays were very helpful. The flat, the location (not too far from the beach, but no too close). Very nice people at the reception. The apartment was very big and clean. It had everything you needed including a dishwasher. We had a very comfortable stay. The apartment was very central and right beside Ferrari Land. Perfect for families that want to visit the parks. I would recommend the Road House restaurant around the corner for a meal out, Fab! Outdoor bigger pool was nice. Beds were comfortable enough. A/C was efficient. Within the flat noise isolation was good. Lock in a great price for UHC Spa Aqquaria Family Complex – rated 8 by recent guests! 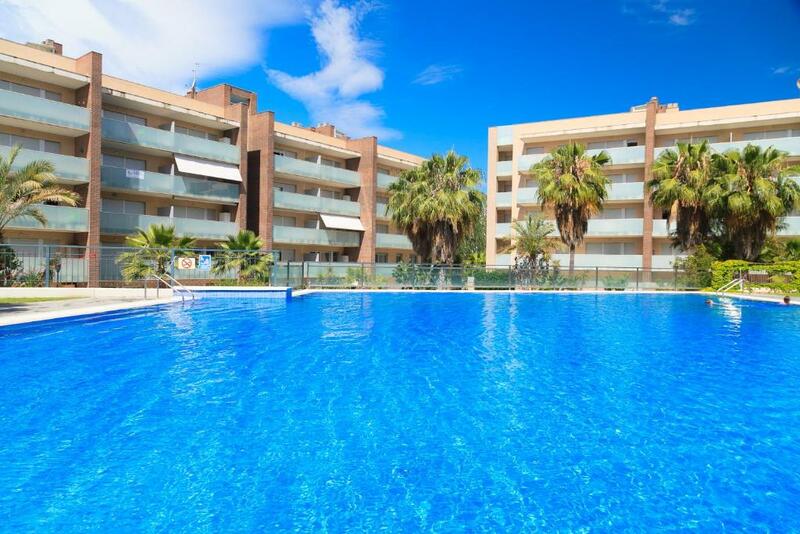 One of our top picks in Salou.Located in Salou, UHC Spa Aqquaria Family Complex offers an outdoor pool and an indoor pool. The property is 2,950 feet from PortAventura and 1,650 feet from Llevant Beach. 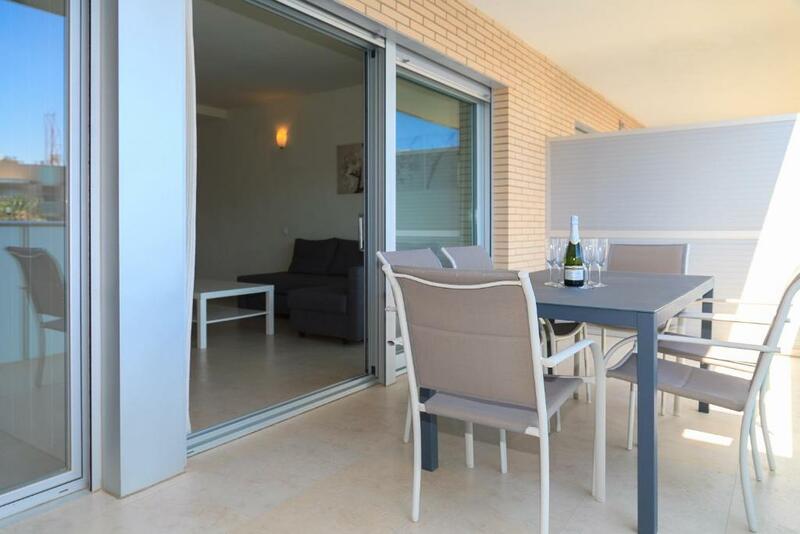 The apartment will provide you with a TV, air conditioning and a terrace. There is a full kitchen with a microwave and an oven. Featuring a shower, private bathroom also comes with a bath and a bath or shower. There is an additional bathroom. You can enjoy pool view and garden view from the room. 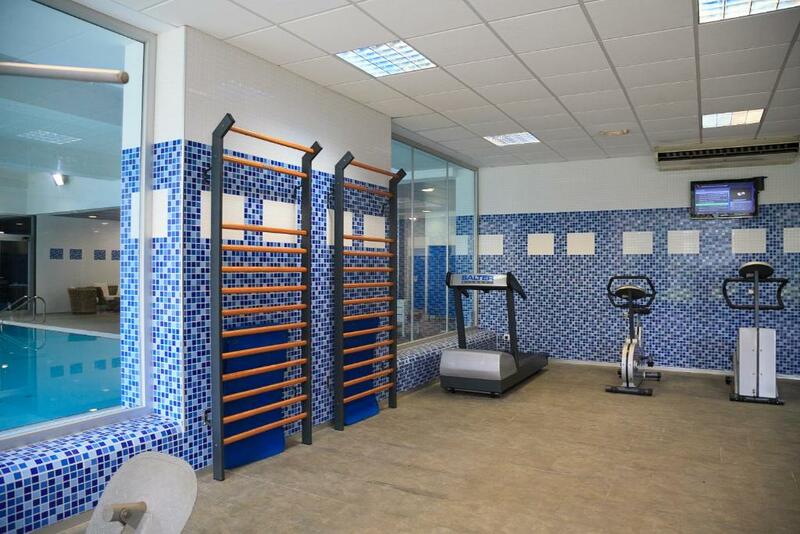 At UHC Spa Aqquaria Family Complex you will find a fitness center Activities in the surrounding area include golfing, horse riding and fishing. 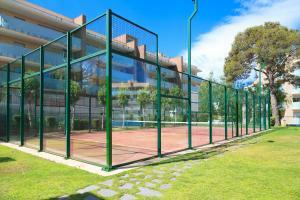 Barcelona El Prat Airport is located 51 mi from the property. When would you like to stay at UHC Spa Aqquaria Family Complex? This air-conditioned apartment has 2 bedrooms, living space with a dining area, and a well-equipped kitchen. 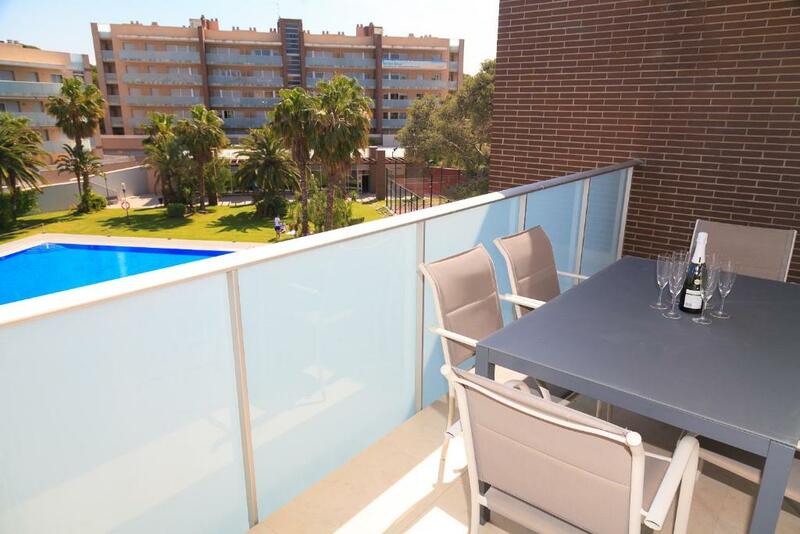 There is also a terrace with views of the pool. This air-conditioned apartment has 3 bedrooms, living space with a dining area, and a well-equipped kitchen. There is also a terrace with views of the pool. Featuring a terrace with exterior seating, this air-conditioned apartment comes with 2 double bedrooms and 2 bathrooms with a bath or shower. It is fitted with a living-dining area with a TV and sofa bed. The fully equipped kitchen comes with a fridge, dishwasher, kitchenware, microwave and oven. Towels and bed linen are available. Guests have access to a communal pool, garden and spa, which includes treatments such as dry sauna, Turkish bath, heated pool and hydromassage tub. 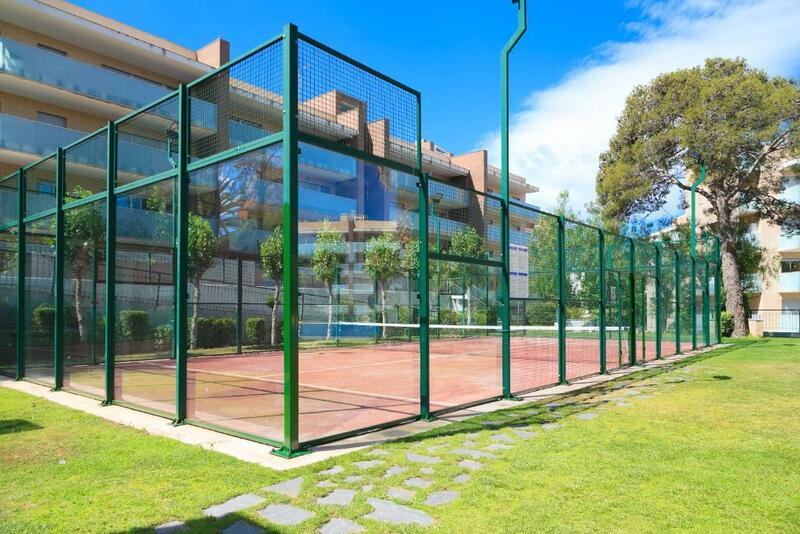 A children's playground and paddle tennis court are also available. LUXURY APARTMENT with high standards community services: spa, acclimatized swimming pool, dry sauna and turkish bath, hydro massage, gymnasium, garden area, two level swimming pool (200m²), children’s park, paddle court and a 2000m² garden. Independent unit air conditioning. Only 500 m away from the Port Aventura Thematic Park. The golden sand beaches and coves and the calm waters of Salou have made this destination one of the leaders on the entire Costa Daurada. Its excellent climate and its commitment to the highest quality services have led to Salou being awarded certificates as a Family Tourism Destination and a Sport Tourism Destination. The guinguetes (Catalan for beach cafés) have also been recently remodelled and they are all modern and functional now, in line with top notch facilities in similar places. 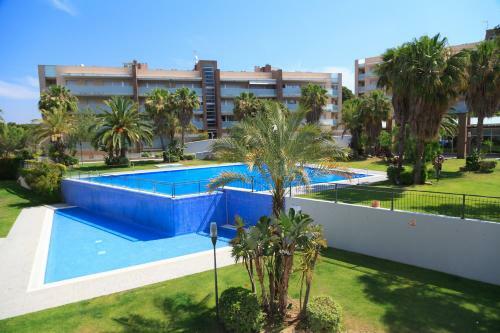 It merits mention that Salou has one of the longest tourist seasons in Catalonia. The beach shining features are shallow waters and fine golden sand. It has a full range of services and is certified with the Q for Quality. The beach has a Kiddy Club, as well as a playground. In July and August, workshops and activities run by monitors are organised from 11 am to 6 pm. House Rules UHC Spa Aqquaria Family Complex takes special requests – add in the next step! UHC Spa Aqquaria Family Complex accepts these cards and reserves the right to temporarily hold an amount prior to arrival. 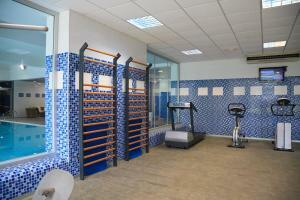 Please note, you can get the opening times of the spa, indoor pool and gym at reception. Please inform UHC Spa Aqquaria Family Complex of your expected arrival time in advance. You can use the Special Requests box when booking, or contact the property directly using the contact details in your confirmation. The double bed in our room wasn't very comfortable, apart from that apartment was fabulous! Very spacious, clean, massive balcony and great pool view. There were quite a few groups of teenagers staying in various apartments within the complex. They were extremely noisy at night time and early hours of the morning, Next visit I think I'll bring ear plugs. 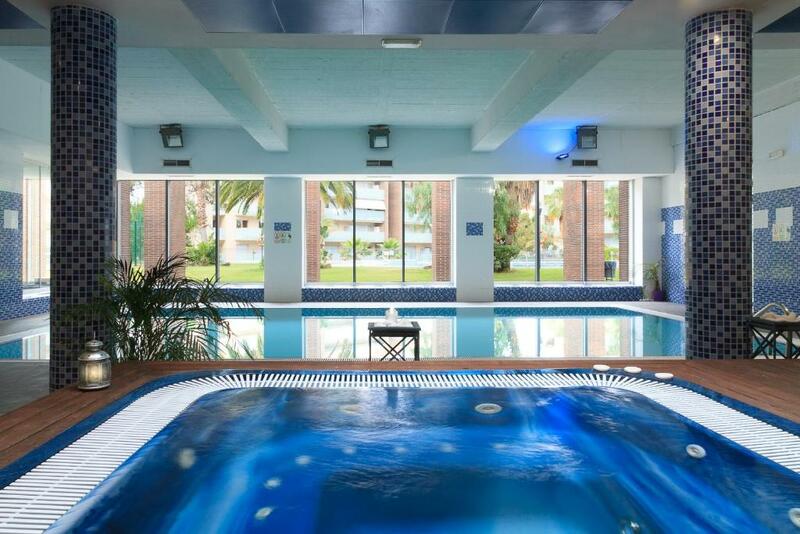 Pool area was fab and indoor pool was well used by us. Can get a bit noisey at night . The SPA. The swimming was too cold (I didn't swim at all), the Jacuzzi rules was not what I was expecting. No free Internet. The beds were not too comfortable, the mattress needs to be changed. The key pick up needs to be more clear by Universal holiday centre, Be sides that all good. There were no facilities for children.. or adults for that matter, the beds were too hard for my liking , they wanted me to pay extra for a cleaner and the damage deposit was ridiculous. Really, with the money that apartment cost , the least they could do was give it a clean. Oh, and the nonsense about using the Jacuzzi and indoor pool was ridiculous . I didnt see one person in there the whole week. I think all you were paying for was the space. As self service as it gets, not even paper/hand soap/coffee filters were included, you need to buy everything from the supermarket. Cleaning costs extra, not even final cleaning was included. Minor defects were corrected during stay, but one leaking ceiling issue reappeared and the repairman left the bathroom in a mess. A/C was loud. Noise from the streets was disturbing at nights.